Custom crafted Managed Telecom solutions that deliver the bandwidth you need, at the price you want to pay, with the security you demand, and service to back it all up. Multi-carrier. Multi-location. Multi-country. If communicating effectively between multiple locations is critical to your business, then we’re the perfect “multi” partner for you. We act like we work there, like a W2 employee. We don’t have to be sitting in a cube or filling a slot in your organizational chart to be part of your team. We treat our relationship with you like we’re one of your employees. Whether you’re a brand new customer or a partner we’ve worked with for years, we treat you the same. The attention you deserve, and the service you expect, is not merely reserved for the newest customers we’re trying to impress. We extend it to all our clients, our new ones and our loyal ones, our big ones and our smaller ones because we believe that a long-term relationship is worth its weight in gold. One number to call, and we answer our phone live every time. “We’re responsive.” Everyone says this, and in so many cases the actions fall short of the promise. 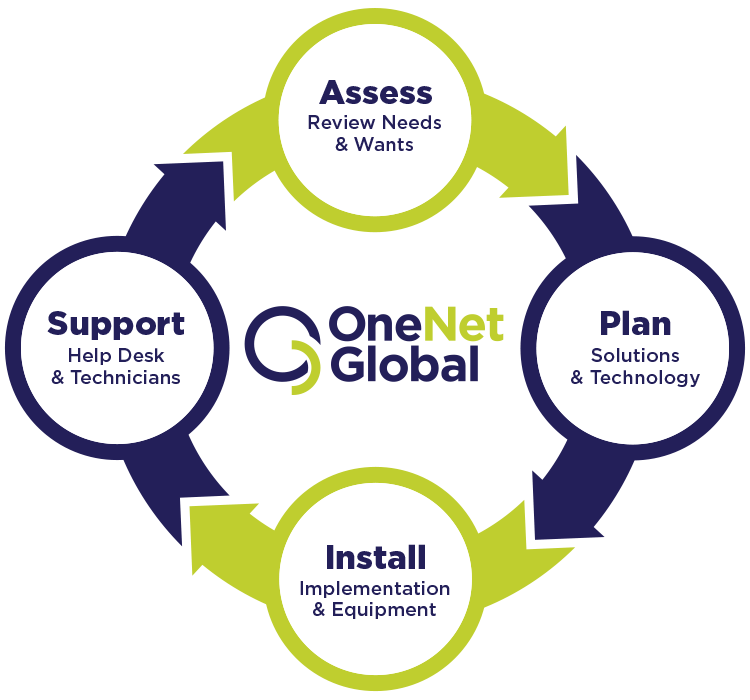 At OneNet Global, our attitude toward customer service is simple. It’s all hands on deck, all of the time. No attitude, no ego. Send in a ticket for an issue, and our technicians and engineers own it until they fix it. Call us with a question, and we pick up our phone every time. Even our president answers the phone. “We’re responsive.” For us, when we say it, we mean it.